Damp in our home can make living conditions uncomfortable, as well as potentially unsafe if the root cause is left untreated. 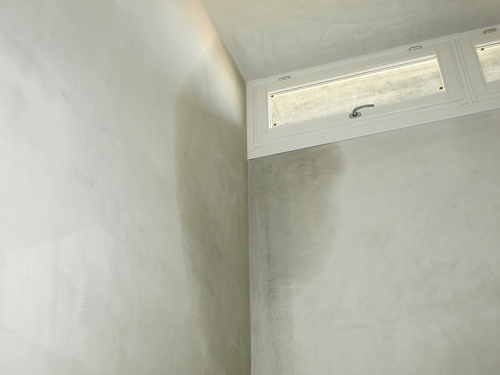 There are many reasons why you might be experiencing damp in your property. For example, rising damp in your London home can occur from a missing or damaged Damp Proof Course. 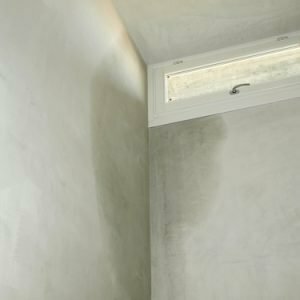 However, if you have noticed your walls are wet after a bought of heavy rain, you may well be suffering from an issue known as penetrating damp. Penetrating damp is the name given to the movement of water from exterior facades to interior surfaces and can occur after a particularly heavy rainfall in properties with solid brick construction or properties without an insulating cavity or if the cavity has been incorrectly filled. If a cavity has been filled with an inappropriate material it can soak up and hold a lot of moisture which slowly permeates into interior walls, causing damp. This type of damp can also be caused by leaky gutters that are broken, wrongly installed or incorrectly sized for the property which causes water to be directed to the wall instead of away from your home. Similar problems can occur from cracked or broken rendering and brickwork or if windows have been installed badly or the sill has been damaged, directing water onto the below wall instead of funnelling it away from the house. When is Penetrating Damp Most Common? Penetrating damp is also likely to occur on exterior walls where the ground level is above the interior walls, creating a “bridging” effect for moisture to bridge the damp proof course and easily travel from exterior to interior surfaces. However, if seen on walls above ground level or in higher-storey properties, it is likely to be caused by faulty brickwork, either due to damage caused from frost, age, deteriorating mortar joints or due to roof or rainwater goods defects. Unless there is an obvious source of moisture, homeowners can often misdiagnose the type of damp that is affecting their home, which can lead to costly and inefficient DIY repairs. If you are concerned about penetrating or rising damp in your London home, please don't hesitate to give our expert and friendly team a call on 0208 535 7536 for a free survey.